What is the State of the Manufacturing Economy? By Miles Free of PMPA. This post originally appears on pmpaspeakingofprecision.com and is reposted with permission. Today our growth is limited by our inability to acquire skilled workers. In the last recession, we were held back by lack of demand for our customer’s end products. Today, we cannot find the skilled people that we require to operate new high tech equipment that is needed to make the high precision parts we produce. Our shops are tackling this issue in a number of ways. Some are setting up internal training programs, some apprenticeships. Several of our member companies are creating on-site schools to teach skills needed. As an industry we helped to create, and are supporting initiatives like Right Skills Now. Right Skills Now uses National Institute for Metalworking Skills (NIMS) credentials to create the skilled workforce that manufacturers require to remain competitive in today’s global markets. Response: We haven’t won this one yet. Question: Why do we have a skilled workforce shortage when we are at the lowest labor participation rate in ten years? Tools to set up a business in a single day sounds downright positive. But for those of us actually in business, the federal government is an adversary, not an advocate. And EPA overreach on Waters of the U.S., declaring jurisdiction over 8 million miles of ditches, and retention ponds from the 3.5 million miles initially authorized by Congress, may make that one-day business approval figure a wee bit optimistic. Other EPA regulations that increase our costs or potentially will reduce our operations include setting ground level ozone limits below those of the natural conditions of our geography. And the EPA Powerplant Rule that will increase our costs of production significantly. Elimination of employer’s ability to use positive reinforcement to achieve safety goals, thus making safety an us vs them issue. Focus on Employers responsibilities and worker’s rights, rather than an even approach to the s rights and responsibilities of both employers and employees. We haven’t mentioned the outright hostility of the NLRB to employers, nor any difficulties with compliance with the Affordable Care Act. Manufacturers find themselves increasingly hamstrung by the latest regulations out of the federal government- 81,611 pages of which were published in the Federal Register in 2015. 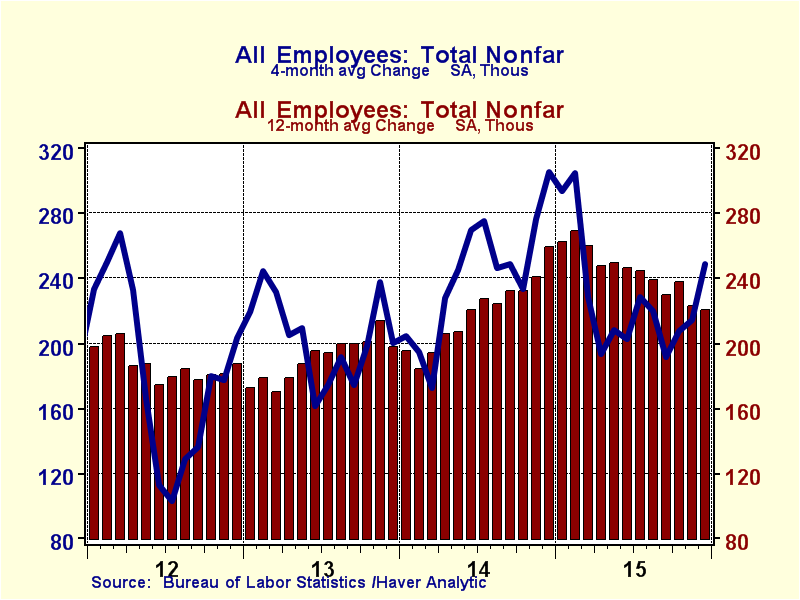 We are encouraged by short term Employment Momentum. Our PMPA Monthly Business Trends Employment Sentiment remains solidly positive with 85% of respondents reporting employment prospects to be steady or improving over the next three months. Yet our Short Term Industrial Production Momentum tells a very different tale. What is the state of Manufacturing? We’re happy to report that we have great people, improving technologies, and great ideas to put to work. Preliminary look at the data for the precision machining industry shows that we finished the year up a very modest 1.6 % over 2014. Positive, but modestly so. We are taking it on ourselves to solve the skilled workforce issue and are reaching out to our communities through events like MFG Day to tell the story of great careers without requiring thousands in college debt. We support apprenticeships, serve on advisory boards at local vocational schools and community colleges, and continue to do the lion’s share of training in our industry in our shops at our own cost. While we continue to be challenged by our inability to add skilled talent, it is the increasingly hostile regulatory tone that has the potential to reduce our operations and increases our risk without any substantiated benefits. We are not asking for the elimination of regulatory enforcement in any area. But we do think it would be nice to have agency policies that could be seen to be fair and dealing with both employer and employee responsibilities. Environmental regulations s that recognize the existing natural conditions, rather than set arbitrary limits that Nature itself does not attain. A government that actually is part of the solution to growing our economy, instead of one of the biggest obstacles those of us that are actually doing that growing and hiring and production must face. We’re here. We’re ready. We’re committed. What is the state of the Manufacturing Industry?